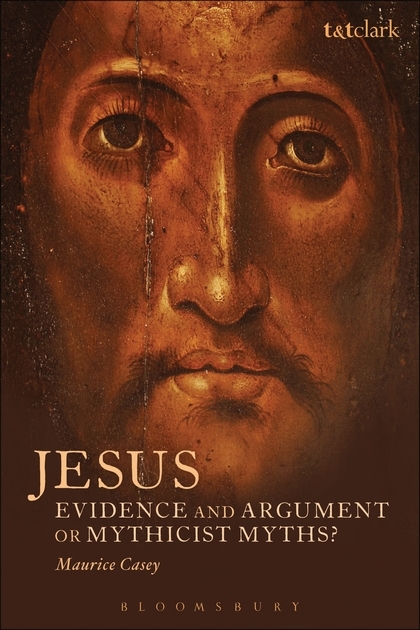 Richard Carrier has written a critical review of Maurice Casey’s Jesus: Evidence and Argument or Mythicist Myths? See Critical Review of Maurice Casey’s Defense of the Historicity of Jesus. It’s in depth. Over 20,000 words. So most of us will want to schedule more than one sitting to complete it. Carrier begins with an overall summary and some common themes of the book before getting into details. Casey’s Jesus has no structure or organization capable of being analyzed. It is basically just a random jump from digression to digression, very loosely grouped into eight topical chapters, as he randomly picks some item or other from mythicist literature . . . There is also an extraordinary amount of dishonesty and misrepresentation (although I suspect in many cases this is actually a cognitive defect: Casey literally doesn’t understand what his opponents are saying quite a lot of the time . . . . This book is also characterized by an awe-inspiringly near-total reliance on a single argument for historicity that is monumentally illogical (the Criterion of Aramaicism). . . . Most frustrating is the fact that even when he tackles a genuinely faulty mythicist argument he still often resorts to misrepresentations, red herrings, and straw men. . . . .
You won’t ever know if Casey is honestly representing his opponents or even correctly describing what they’ve said . . . . You often won’t know if something he is claiming is actually the mainstream consensus or a fringe view . . . .
That about sums it up pretty accurately. As for the “extraordinary amount of dishonesty and misrepresentation”, we are also now seeing that from some of the ardent publicists for this book. Jim West has been posting fulsome praise for the book but when he noticed at least one error in it he warned his readers not to be misled about the work of Emanuel Pfoh. Casey got it wrong about Pfoh, West says. Casey inferred Pfoh was a mythicist and a closed minded bigot on the strength of a “playful” comment he once made. But West himself falsely claimed that that playful throwaway line was made in a book to which West himself contributed. I emailed West to advise him that if he could see Casey made an error about Pfoh, then maybe it was possible Casey made an error about others, too. I also suggested that West himself had not read the book carefully since Casey quite clearly points out that Pfoh’s remark was made on Vridar and not in West’s book. I ensured West had my email address so that he could discuss the matter further offline if he wished. He failed to respond so I sent him a link to Tim Widowfield’s post on academic professionalism (or lack of it). West responded with an outright lie about the nature of my correspondence. In actual fact, Casey wrongly indicates several other names are mythicists, too. It’s not just Pfoh. Casey even lumps Niels Peter Lemche and Thomas L. Thompson in his cluster of mythicists! Of course NPL has in the past made it very clear in comments here that he is not a mythicist and TLT has never argued against the historical existence of Jesus. There are at least three other names Casey also mis-labels as mythicists in his book. He even zeroes in on them at length throughout his eight chapters completely oblivious to the fact that not one of these three has ever argued against the historical existence of Jesus. Casey’s book offers both the scholarly detail needed to deal with the subject seriously, and the sarcastic wit appropriate to the character of the phenomenon. The result is not only informative but also entertaining. Casey’s book provides a clear and sufficiently detailed explanation of what mainstream scholarly conclusions are . . .